One of the best ways to pay for your transaction fees is to get your donors to cover the costs! Donation Tipping allows you to do this by giving your donors an option to add a percentage to their donation to help cover the costs of the CauseVox and processor credit card transaction fees. 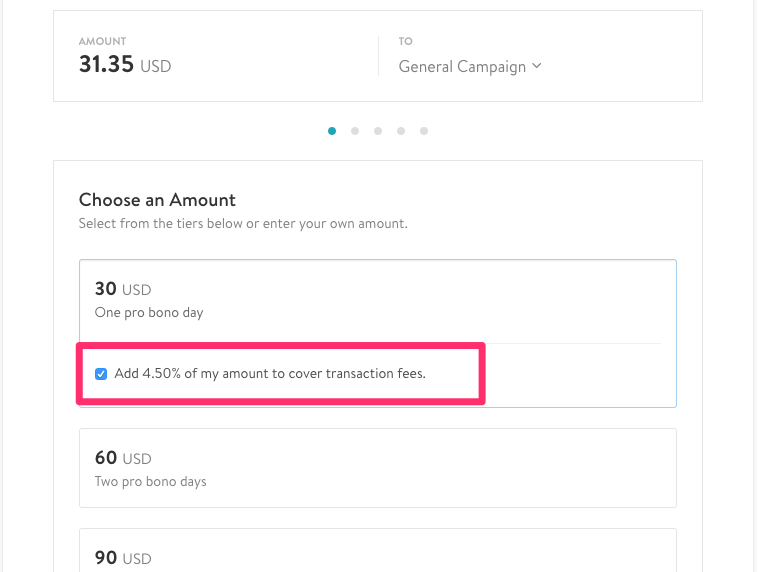 Across CauseVox, 75% of donors will opt-in to covering your fees. This is an optional feature. 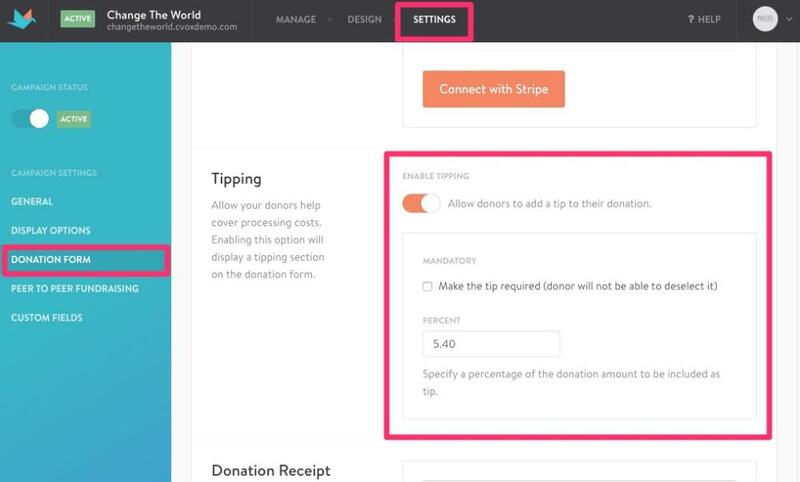 You can enable it as an option for your donors on your donation form or you can make it mandatory for donors. Step 1: In you Site Settings, click on “Donation Form” along the left menu bar. Now there will be an additional checkbox for donation tipping on the donation form. That’s it! You’re on your way to get more donations! *Note: Donation tips are not included in the donation counter on your campaign site, but will be displayed in your CauseVox admin account. You are charged a CauseVox transaction fee and Stripe/PayPal fee for all donations. For our example, let's say someone donates $100 with a 5% tip to make it a $105 post-tip donation. The CauseVox fee depends on your plan and can be found in the Donation Processing section of your Site Settings. Let's assume a 2.5% CauseVox fee.